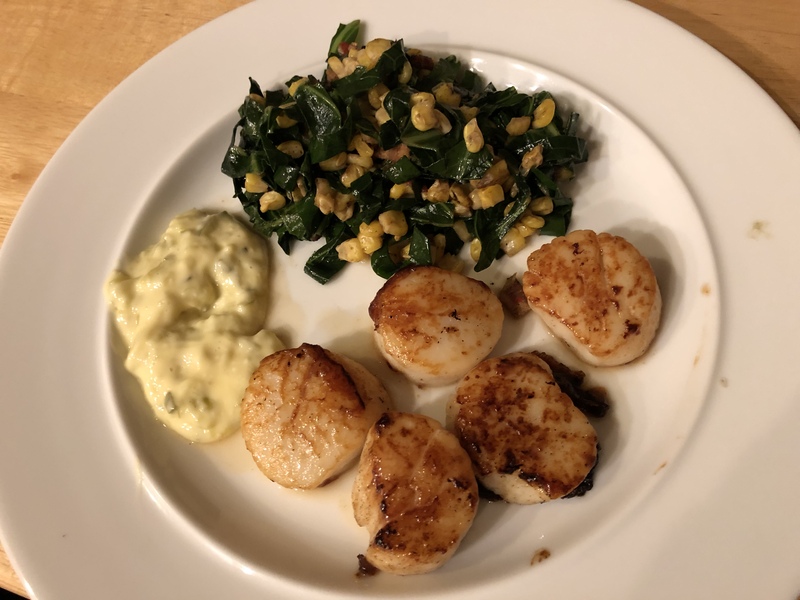 John has not made seared scallops in a while since we have been enjoying the breaded and fried ones a lot. But new year, new goals for eating so we went back to a lower calorie preparation. This dish is quite delicious because scallops are so yum. The collards are a little bitter so the sweetness of the corn helps out. This entry was posted in American, Easy, pescatarian, Shellfish, Vegetables and tagged collard greens, corn, scallops. Bookmark the permalink.